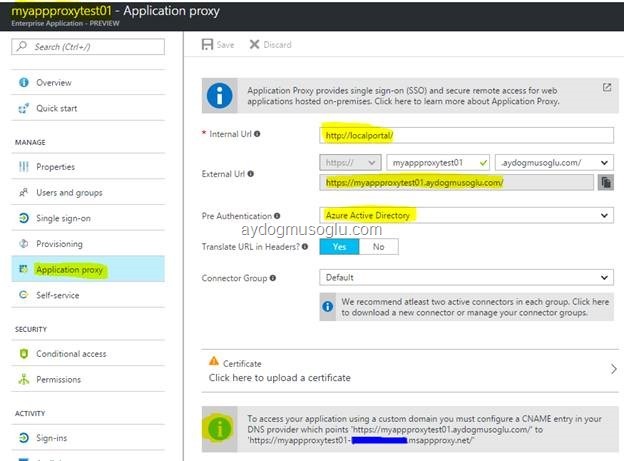 1- Connector can be downloaded under the Azure Active Directory > Application Proxy blade shown below. You need a valid subscription in order to complete the connector setup! 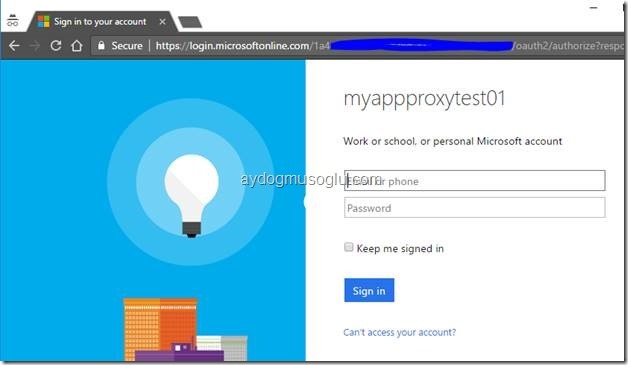 Some ports are needed to be allowed for connector to communicate properly with Azure Application Proxy service. 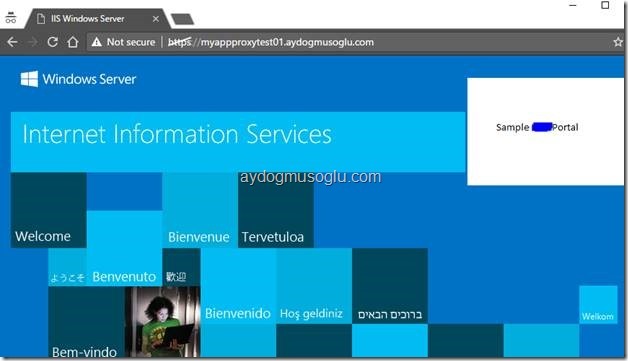 5- Let me get into configuration details for the application listed above. Several configuration options can be set when adding the application. If you use your custom domain name for external url, it should have already been verified. Notice that you need to configure a cname record in order to point your application proxy url. In addition to this an SSL certificate from a well known CA must be installed under the certificate warning blade shown above. 6- So which user(s) is authenticated through application proxy? 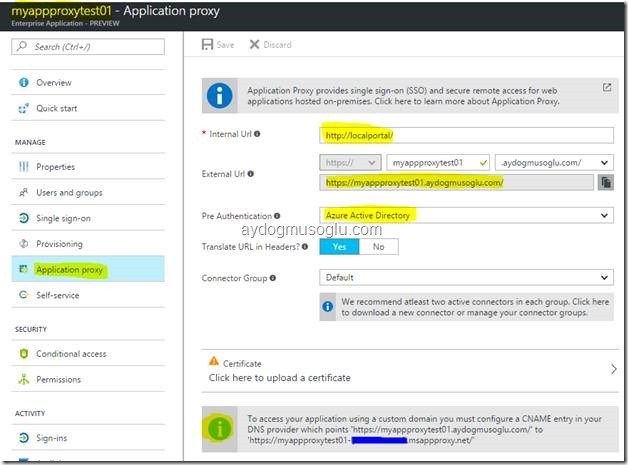 Which user(s) is allowed through Application Proxy portal? When I browse the https://myappproxytest01.aydogmusoglu.com/ url, it is redirected to application proxy authentication portal. Well done. I am able to access without setting up reverse proxies , VPNs etc.